B.M.GAFFOOR (former chief cartoonist, Mathrubhumi) is the torchbearer of BMG GROUP. BMG is an IT media group successfully serving all the current worlds IT and Media requirements. His experience and vision for animation and its possibilities have being the backbone of the company growth. BMG started as an animation house in 2004 and is now a one-stop production and service area for anything and everything related to IT and media. Our focus is to bring in a socio-economic development through provision of access to unfiltered information and lead the transformation of the media landscape with outstanding execution, uncompromising dedication and with our passion to color the world, we will make the world a better place for a future generation. Art is our lens, story drives our approach, and technology is our tool. Through the fusion of artistry, content, and technology, we render the word to the story, the story to the medium, and the medium to the space. Dr. Pashupathi - India’s first daily animation series for the wellness of dairy farmers, branded by MILMA. BMG launched Happy Kid in the mid 2017. It is Sun Network's only domenstic animation and it's being telecasted in four different languages. 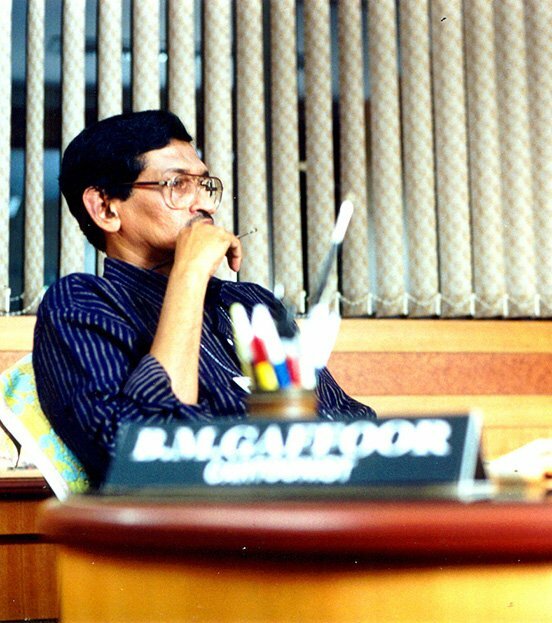 B. M. Gaffoor - the Mentor and Torch-Bearer of the BMG Group, stands out as the most renowned and well revered cartoonist and caricaturist, hailing from Kerala, and reckoned as a giant and leader, amongst the contemporary colleagues of his time. BM Gaffoor, in brief, also proved himself to be the true synonym for cartoon and caricature, in the mind of a Malayalee. He has involved himself in the field of art, for more than 40 years in his life time. He had the privilege of associating himself with the world-famous cartoonist and celebrity, late Sri. Sankar of ‘Times of India’ fame, New Delhi, as well as, with Sri. M.V. Devan and Sri. K.C.S. Panicker, both of whom were also his early teachers in art, besides known master cartoonists and caricaturists of Kerala. BM Gaffoor was the recipient of several awards and laurels, both at the National, International and State levels. His identification and selection as one amongst the top-ten cartoonists in India, adds a feather in his cap. The sole distinction of being the first Indian to produce Animated Political Serials in India, goes to none other than BMG. The serial entitled ‘Bee Yem Gaffoorinte Akamporul’ that was telecast in Asianet earlier, proved to be a big success. BM Gaffoor was the first Indian ever to venture to conduct a Political Cartoon Exhibition in the Middle East, besides several others in India and abroad. He had also worked for editorials, namely Gulf News, Deshabhimani, and Chandrika. He served as the Chief Editor of Nirlmala in the year 1973, as also Cut-Cut Magazine. From 1980 to 2003, he was the Chief Cartoonist of Mathrubhumi, until his sad demise on the 13th of November, 2003. His mantle fell on the young shoulders of his eldest son Sri. Thanveer Gaffoor, a technical expert in his own right, and presently the Managing Director of the Group, with his past work experiences in IT, Web Graphics and Animation with multinational companies, enable him to run the show admirably, with the able support and back-up of his younger brother, Sri. 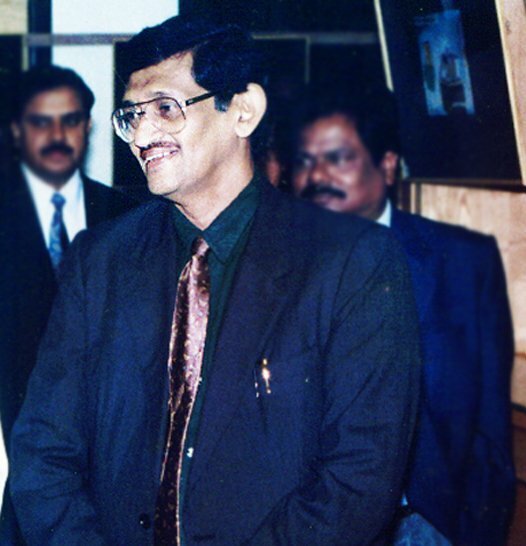 Thajmal Gaffoor, a technocrat and an animator, who is also the Executive Director of the Group; besides, Sri. B. Basheer, a relative and one of the renowned and leading Industrialists of Dubai, who is also the moral guide and Executive Director of the Group. His son, Sri. Jassim Basheer, himself a technocrat and a specialist in 3D Animation, ably looks after the Group’s International Business and Development. In his passing away the country has lost one of its greatest and well cherished caricaturists and cartoonists. Indeed, he has made a chasm, which nothing can fill up; nor anything has a tendency to fill up – BMG is dead – Let us go to the next best. There is nobody. No man can be said to put you in mind, in place of our Beloved BMG. B.M.G these three letters can say a story of affection, a story of hardship, a story of struggle, a story of tradition, apart from all, a story of success. And we introduce the the man behind BMG, the man behind the success. Mr. Thanveer Gaffoor, Founder and Managing Director of BMG Group. When introducing Mr. Thanveer and his creative career, we should definitely introduce his great father and the renowned cartoonist Sri. B.M. Gaffoor. And that’s what BMG stands for. Thanveer Gaffoor, who completed his education at Silver Hills and later at Farookh College, started his career with Percy Joseph as a trainee graphic designer. 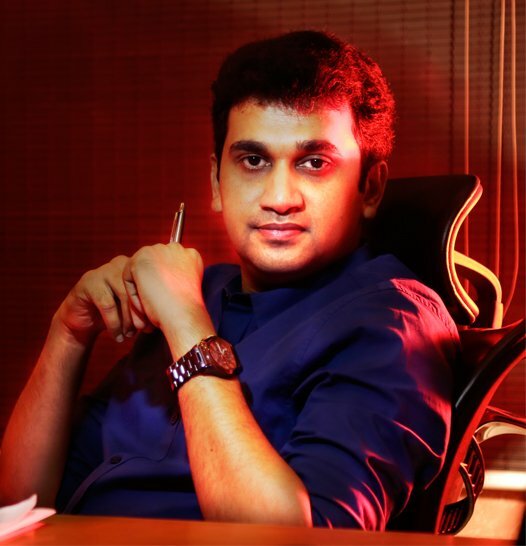 In the early 2000, he joined as the chief graphic designer at NEST a multinational IT company at Kochi. After the expiry of his father in 2003, he started his own business in the year 2004. That was how BMG Animation was born. The company kick started with a single employee and a single computer with heart full of confidence and ambition. The first product to roll out from BMG was ‘Kunhamman’ a daily political animation series for Kairali TV. Infact this was the first daily animation series in Malayalam television and the First daily ‘Political animation Satire’ in Indian television. This series later completed more than 2000 episodes. BMG is now the largest animation and media production house in South India who produces animation and media contents for all the major television channels including Asianet, Mathrubhumi, Media One, Reporter TV, Indiavision, Jeevan TV and for the kids exclusive channels like Kochu TV, Chintu TV, Khushi TV, Chutki TV along with CNBC Arabia, Sony TV, Times Now, Qatar Television all this apart from 69 local cable channels across the globe. Also the official multimedia vendors for many corporate brands like Emirates NBD, Aster, SUN Network and many more. BMG has produced animation series in multiple languages that includes all south Indian languages in addition to English, Hindi and Arabic. BMG has so far produced 60,000 animation episodes for different television channels in different languages like English, Hindi, Arabic apart from all South Indian Languages.